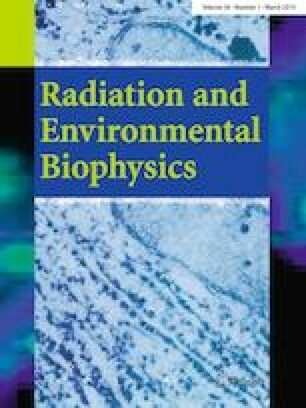 In this study, temporal variations of indoor radon concentrations in Bulgaria were investigated. The radon concentrations were measured by nuclear track detectors as part of the Bulgarian National Survey, performed in the dwellings of 28 regional districts. The detectors were exposed through a year in two consecutive time periods of different lengths. For 2433 dwellings, measurements could be completed for both time periods, while for 345 dwellings they could only be completed for one of the periods. To estimate any missing radon concentrations, a temporal correction procedure was developed. This procedure, which included development of a linear correlation between the ln-transformed radon concentrations from the 9-month period [CRn(L)] and from the 3-month period [CRn(S)]. A normal distribution of the data, which is a condition for linear regression, was achieved when the ln-transformed radon concentrations were grouped by climate zone, then by regional districts, and finally by the presence/absence of a basement in the investigated building. The linear models obtained for each group showed reasonable coefficients of determination (R2 ≈ 0.50) and root mean square errors (RMSEs) of about 0.50. When these correlations were used to reconstruct radon concentrations in missing measurement periods, it turned out that the reconstructed data (for 345 dwellings) were within the 95% confidence interval of the measured data (for 2433 dwellings). The geometric means of CRn(L) and CRn(S) were 76 Bq/m3 and 100 Bq/m3, respectively, for 2433 dwellings, which are almost equal to those of 75 Bq/m3 and 98 Bq/m3, which represent the measured and reconstructed data together (for 2778 dwellings). The authors express their gratitude to the 28 Regional Health Inspectorates in Bulgaria for distribution of the detectors and to all the householders who participated in the survey. This study was implemented under the Bulgarian National Radon Program 2013–2017.